THEY’RE known for their luxurious refurbishments and fit outs in some of the world’s most stunning venues and now McCue Crafted Fit is celebrating after a selection of their projects were recognised at prestigious industry awards. The specialist company, based in Carrickfergus, was crowned winner of the Heritage category at the esteemed NAS Design Partnership Awards last month in London. The accolade was for the company’s recent work at the newly extended and hugely impressive, Harp Bar in the Cathedral Quarter area of Belfast. It doesn’t end there however for the team at McCue Crafted Fit. 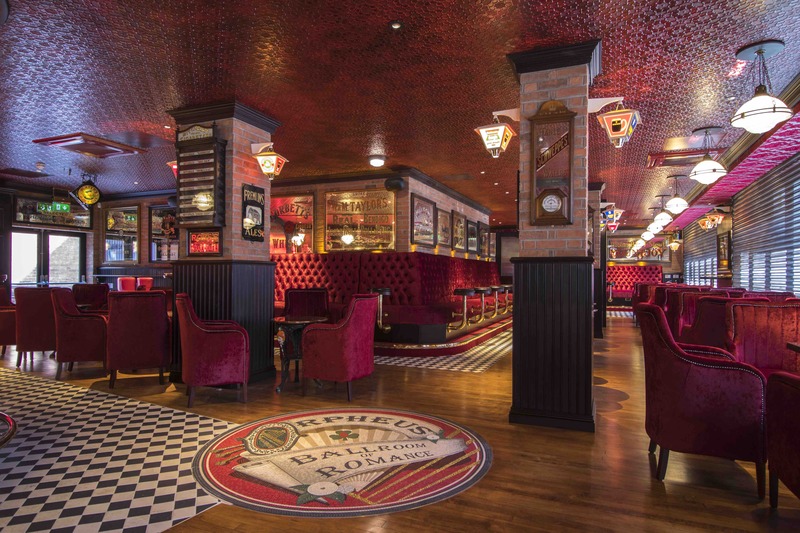 The company has been announced as a finalist in the upcoming Belfast Telegraph Property Awards where the Harp Bar project has been shortlisted for ‘Commercial Fit Out of the Year’. Fresh Interior Design has also been shortlisted for ‘Best Interior Design of the Year’ for the project. The winners will be announced at a glittering awards ceremony on Friday 16th November.